Addition is such an important skill for my kindergarten students. I want my students to understand that adding is putting things together. I always teach my students addition using a variety of strategies. 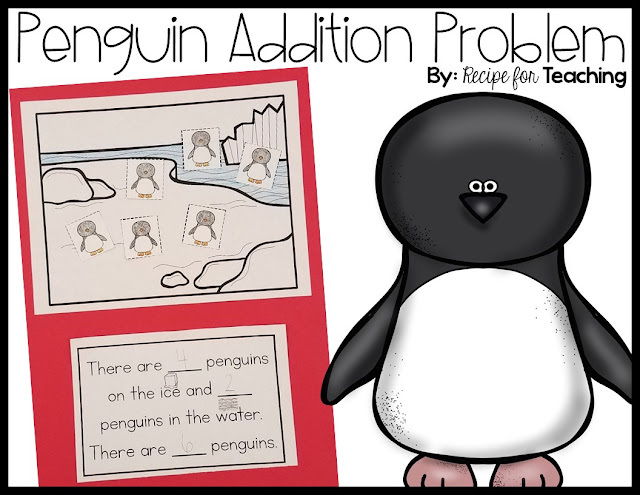 This Penguin Addition Problem will give your students the chance to add using pictures of penguins. It's the perfect winter activity! To prepare this activity I first printed enough copies of the ice habitat picture for my students on white copy paper. I also printed the addition problem for my class. I made sure that my students had 10 penguins for the problem. You could give students more or less depending on what best meets the needs of your students. I wanted my students to glue the ice habitat picture and the problem on a picture of 11x17 construction paper so I also grabbed some construction paper. In addition to the recording papers, construction paper, and glue, my students also needed scissors, crayons, and a pencil to complete this activity. 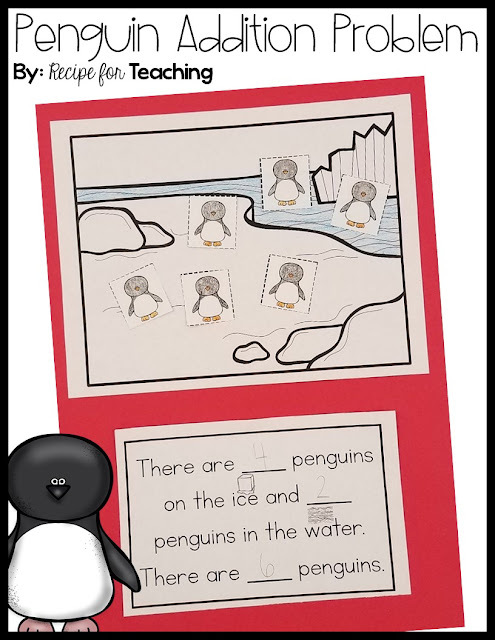 For this activity students get to choose how many penguins they want to put on the ice and how many penguins they want to put in the water. They do not have to use all ten of the penguins. Next, they glue the penguins in the spot that they want them. I always let my students take the extras home or they can recycle them. So many of my students love taking the extras home! Students record how many penguins are on the ice and how many are in the water. The last thing students do is record the total number of penguins they have. I like to have my students share their work so that we can see all the different ways that students completed the problem. Ready for some Penguin Addition fun?! Just click the image below to download your FREE Penguin Addition Problem! Looking for more penguin fun?! 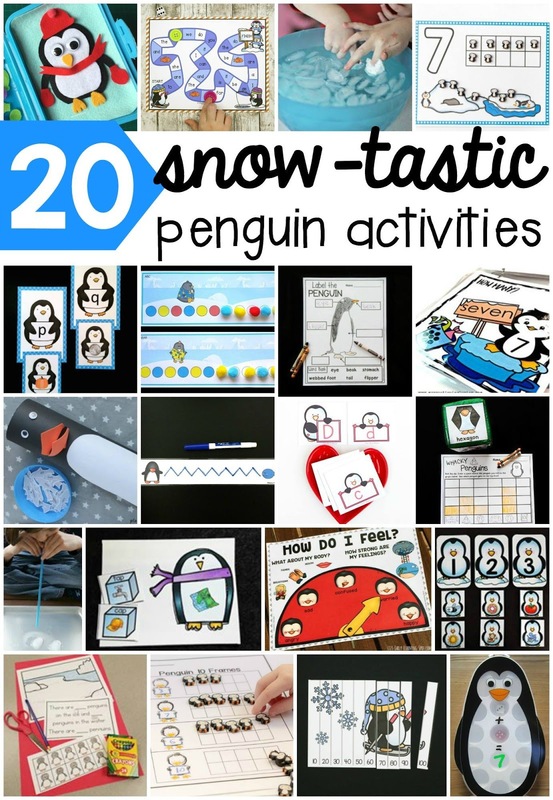 Check out the links to posts from these amazing bloggers for some more penguin activities!